Habitual liars and cheaters, con artists and swindlers are extremely self-centered and controlling people. They focus on manipulating other people simply as a way of life, for their own benefit. People like Donna Andersen clearly know what this kind of evil looks like. 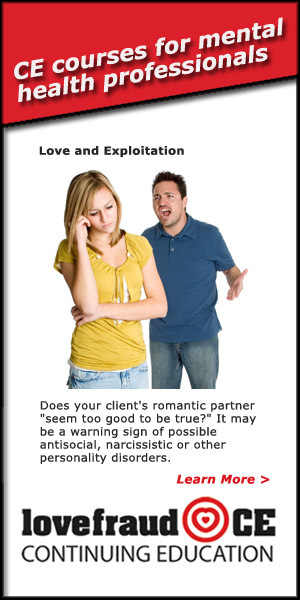 They know because they once trusted people who turned out to be sociopaths—people who deceived them intentionally, who took from them both tangible and intangible things of value, through encounters in romantic, familial or business relationships, whether over a period of hours, days, weeks, months or years. 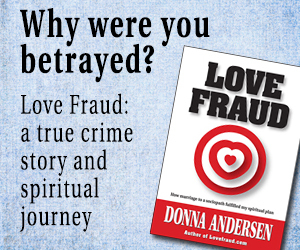 Now, with the publication of her new book, Love Fraud: How marriage to a sociopath fulfilled my spiritual plan, Donna Andersen tells the full and intimate story of how she slowly learned harsh truths about sociopaths and the consequences from relationships with them. She had previously shared parts of her story of her marriage to James Montgomery through the Lovefraud.com website she launched in 2005, which now helps thousands across the globe who’ve been devastated by sociopaths, to realize they are not crazy after all. Andersen’s book is a meticulous compilation of factual details, with narratives and anecdotal evidence. Personal journals she kept provide a rich source of information and reflections on a life shattered during the two years she was enmeshed through marriage to Montgomery. Her book recalls both horrendous and routine events, including high and low points in relationships with men, visceral scenery from various geographical destinations interspersed with moments of intimacy with traveling companions, challenging experiences in maintaining her professional reputation and financial solvency, both supportive and sometimes strained interactions with family and friends, and the intrusion of unwanted anxiety-ridden thoughts, feelings and behaviors, before she found her way back from the depths of despair. Andersen’s story becomes even more intriguing as she goes out on a limb with an in-depth exploration of the inner journey she traveled through chaos, cruelty and ultimately clarity that led to her own spiritual renewal. As Andersen explains in her book, the behaviors exhibited by sociopaths suggest they are primarily interested in power, control and pleasure. “Sociopaths have no heart, no conscience and no remorse,” she writes. Such individuals lack substance at their core, like an empty shell. A chief characteristic is being devoid of empathy, lacking concern for the well-being of others. The Montgomery and other true stories of male and female sociopaths cited in the book or on Lovefraud.com show how far some people will go to get what they want. They’ll claim to be in love, while juggling multiple partners or operating with ulterior motives. They’ll fake credentials, and pit people against each other. They will lie, cheat and steal. 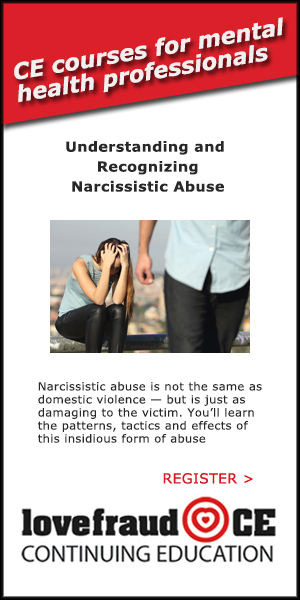 They will deny or minimize how they intimidate and abuse others mentally, psychologically, physically or financially. M. Scott Peck, M.D., who explored the psychology of evil in his 1983 book, People of the Lie, wrote that deliberately deceiving others, and building layer upon layer of self-deception, is characteristic of those who—not the same as us average sinners who make mistakes and must learn to live with our imperfections—can be described as evil. 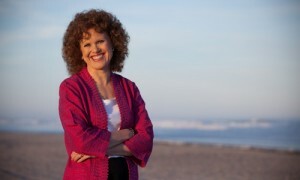 “Lies confuse,” Peck wrote, indicating that it is those directly affected by evil people—whether relative, spouse, friend, co-worker, etc.—who suffer the most. Evil is in opposition to life. Evil is also that which kills spirit. There are various essential attributes of life — particularly human life — such as sentience, mobility, awareness, growth, autonomy, will. It is possible to kill or attempt to kill one of these attributes without destroying the body. Thus we may “break” a horse or even a child without harming a hair on its head. What Andersen does best is clearly show how sociopaths are defined by underlying pathological narcissism—evident in their pattern of treating other people with little to no regard. Everyday behaviors by sociopaths often result in victims subjected to unfair criticism, unpredictable outbursts, direct and indirect threats of abandonment or violence, humiliation and gaslighting, and routine betrayals even when lying about big and small things makes no sense. These patterns of interactions can contribute to “crazy-making” that result in losing touch with reality or spiritual crisis for many victims. The potential for “murder-by-suicide” also exists when someone subjected to abuse over time harms him- or herself due to constant belittling and invalidation by, or commit suicide due to “encouragement” from, a sociopath. For someone who can’t fathom that some people refuse to honor basic courtesies or follow normal rules for living in a civilized society, it can be a shock to the psychic system. To slowly realize that individuals who regularly deceive others exist, justify their actions and simply do not care, flies in the face of conventional wisdom. In fact, the often-unquestioned belief that good can be found in everyone is one reason many people continuously accept or make excuses for bad behavior from toxic people across the board. Andersen’s courageous work helps readers comprehend the reality of sociopaths in our midst beyond what is normally covered in mainstream media. It’s one thing to understand sociopaths in generalized or academic terms, and quite another to experience them in real life. 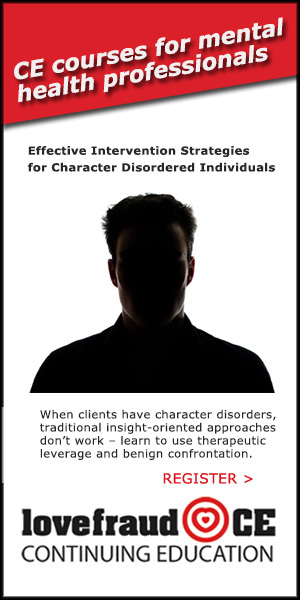 It’s in the day-to-day details of living where both their blatant and subtle impact is felt most, and can become life-threatening or life-changing for most people entangled with a sociopath. At times in her voluminous 640-page book, Andersen’s overview of Montgomery’s deceptions and exploitation seem repetitive, but they serve a strong journalistic foundation of factual reporting. Otherwise, a reader might be tempted to minimize just how disordered Montgomery was—how he functioned without regard for consequences, routinely lied and manipulated multiple people in many ways through personal, professional and family situations. To her credit, Andersen manages to inject comic relief with some jaw-dropping moments, including when she teamed up with other women who had been harmed, to compare information and hold James Montgomery accountable. Given the extensive damage he’d done, it offers vicarious pleasure to visualize Montgomery squirming as he got a bitter taste of his own medicine. Andersen’s book elucidates the insidious harm caused by sociopaths. Sociopaths manage to exploit even the best qualities in people, and quite often use words to distort reality or make themselves look like victims when someone demands fairness and reciprocation or attempts to hold them accountable. 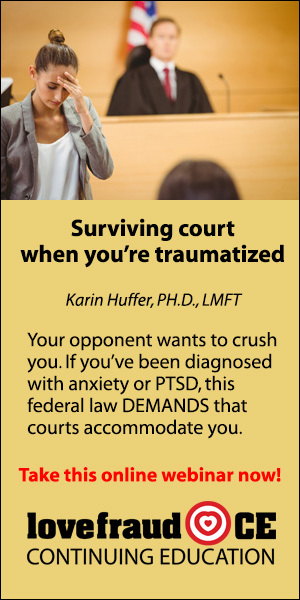 Research on traumatic bonding explains how victims become more attached to sociopaths as a result of feeling powerless, anxious and fearful, due to lacking assertiveness or feeling a sense of obligation or martyrdom as a result of unresolved issues from their own upbringing. 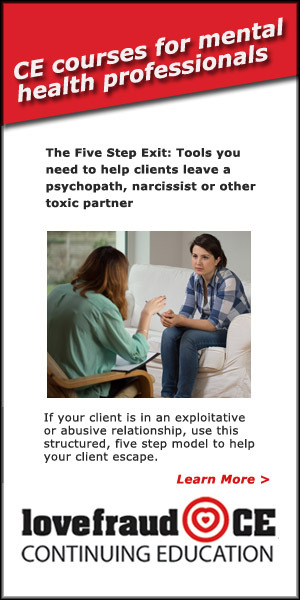 This helps in part shed light on why people on the outside of some exploitive and abusive relationships generally blame the real victims, or express impatience by suggesting victims should just leave a bad relationship right away or should at least have known what someone else was doing behind their back. But who can truly fathom the tangled webs sociopaths weave when they set out to deceive? Had the women Montgomery victimized known the truth about him before they got involved, surely they would have been in a better position to make different choices, more informed decisions. But they didn’t know. They may have suspected something wrong, but short of doing full-fledged investigations, they generally had no direct access to proof when they needed it. James Montgomery clearly underestimated Donna Andersen. She initially gave him the benefit of doubt—after all, what normal person marries without being open to a modicum of basic trust? Andersen is both intellectually astute and far deeper on a spiritual level than Montgomery seemed to grasp. Her story, and the lives of other women intertwined in it, serves as a cautionary reminder about not judging a book by its cover—or thinking we can know someone simply based on the surface. After all, many sociopaths have stellar reputations with their gift of gab and appearance, giving the impression of being charming and caring people. Anyone can be fooled. The greatest irony of it all, as Andersen points out, is that it was the Internet that Montgomery used to lure and seduce women, and the Internet that allowed her to expose Montgomery. 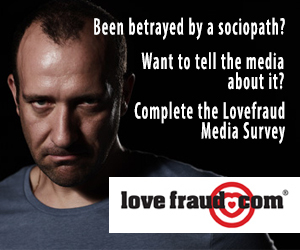 At least one financially secure widow broke off a budding relationship with him after researching his background through Lovefraud.com. And it was a result of Andersen’s correspondence and the efforts of other women reaching out to those victimized by Montgomery, that many finally came to terms with the truth. These revelations were, paradoxically, both a source of psychological pain and a path to freedom. As Andersen’s book demonstrates, even rough roads with toxic people come to an end. 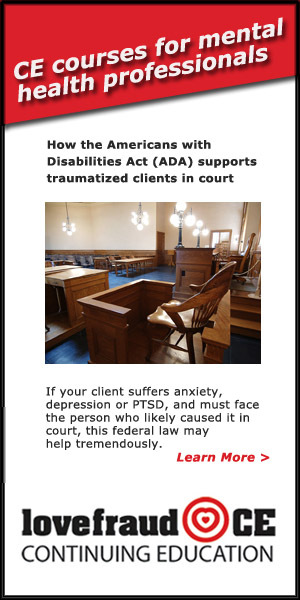 Individuals don’t have to maintain a victim identity after a life turned upside down by a sociopath. In the aftermath, Andersen questioned what she had always believed about the core goodness of human beings, no longer taking things at face value. She struggled with humiliation, after having her confidence deflated due to Montgomery’s deceit. She faced her own limitations on the uphill climb to reclaim herself, with renewed clarity and hope restored. Even if some of the metaphysical and past-life regression experiences described in the book seem strange or overbearing at times, there is tremendous value in the spiritual lessons Andersen shares. Just as Andersen describes from her own personal growth journey, each of us can explore beliefs that potentially set us up for manipulation by others, whether due to feeling unloved or other unresolved issues from childhood. We can change our thinking and behaviors to focus more on our own well-being rather than expect to be rescued by a relationship or base hopes and dreams on fairy tales. 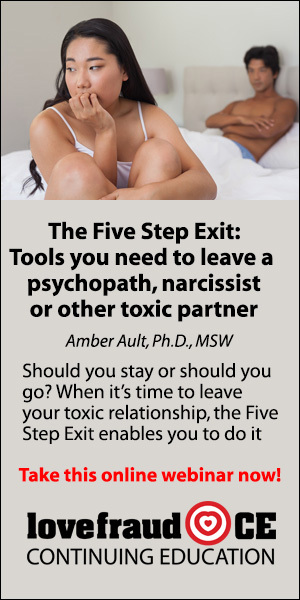 We can learn to identify red flag behaviors in people who are toxic. We can change the way we react to others’ attempts to guilt and shame us. We can learn to avoid being sucked into the drama that sociopaths are adept at creating. Andersen stresses the importance of having knowledge about sociopaths and what makes them tick. For many, it is a turning point to help sort through the lies and confusion, and diffuse the effects of manipulation and exploitation. Such awareness can empower a new sense of personal responsibility and a different perspective that strips the sociopath from his or her pedestal, exposing the shallowness of their existence. Indeed, the inability of sociopaths to live authentic lives in some ways makes them pitiable, if they were not so dangerous and destructive. In the end, Andersen triumphs from both confronting and working through it all — the good, bad and ugly. In especially raw and poignant descriptions of personal challenges faced by both Andersen and her new husband, Terry Kelly, her story shows that while life can be difficult and love can sometimes be challenging, real human connections prove to be life-affirming. 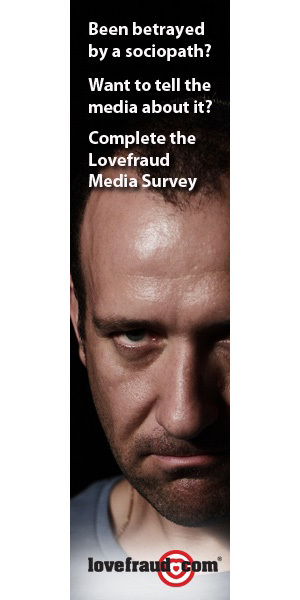 Love Fraud is an engaging page-turner for a book without serial killers, blood and gore. In providing a higher-level primer on sociopaths, Andersen’s book also explores one of our greatest worries about whether good can prevail in the fight against evil. The answer is yes. There is access to salvation for those who seek it, and many will find direction in Andersen’s insightful and ultimately spiritually-uplifting book. About the author: Fannie LeFlore, MS, LPC, CADC-D is an Entrepreneur, Writer/Editor and Licensed Professional Counselor. These combined career areas are the foundation of the expertise and quality professional services provided by LeFlore Communications, LLC in Milwaukee, Wis. (www.leflorecommunications.com). LeFlore also was Co-writer/Editor of The Road Less Traveled and Beyond (1997) by M. Scott Peck, MD. Thank you so much for your deep and thoughtful analysis. I told a comprehensive story – what happened to me and seven other women that Montgomery conned – because I wanted to convey that, for these pathological individuals, manipulation is a way of life. In fact, it’s a thrill. I do believe Montgomery saw it as a game. At one point, early in our relationship, he had one woman staying with him, and took her car to come and visit me. There was no reason for it. He had his own car. But sociopaths love to “get over” on people.I think it proves to themselves how “superior” they are. I actually expect that, once the book comes out, I’ll hear from even more women that he was involved with. Hi Donna — You’ve done an incredible public service, and I wish you tremendous success with your new book. Just want to shed a bit of light on an issue that Fannie addressed… having to do with traumatic bonding and why folks remain with psychopaths. The traumatic bond is not only emotional, it’s physical. Betrayal is a form of abandonment that cuts off the level of trust and comfort producing endorphins and neurostransmiters that our brains produce, to cleave us to a mate. This immediate cessation of brain chemistry and energy can affect a person by causing an addictive-like reaction. It feels like a craving or a longing. In alcohol addiction, the sufferer craves the chemicals that contribute a sense of well being. In betrayal bonding, the sufferer can crave the internal brain chemicals that provide a sense of being loved. Love, after all, is a form of obsession. And the immediate, total withdrawal by the awakening revelation of betrayal, or an act of betrayal such as physical violence, can throw a person into a chemically addicted state that they do not perceive. Betrayal bonding has nothing to do with whether the person is otherwise imbalanced or whether they are non-assertive or a martyr, although that’s what a betrayal bond may look like to someone on the outside. Those characters are misinterpretations of what is chemically going on in a betrayal bond. While they are manifestations that may result, they are neither the root of, nor the cause of the problem. Many strong, assertive folks have been overwhelmed by betrayal bonding. Sometimes, psychopaths will deliberately go after strong conquests specifically to bolster their sense of power. The strength of the individual is not at issue in whether the victim will react with a betrayal bond in the face of betrayal. 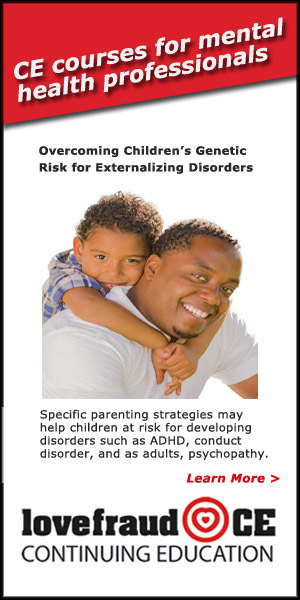 If there is one characteristic that can be pointed to in order to identify who might be more susceptible than others, it’s probably a person with a high level of oxytocin, although I’m not familiar with any studies that have been done to date on this issue. Also, it’s likely that if the victim feels the warmth of affection from other sources, they will feel less toxicly glued to the offender. One of the reasons for going “no contact” with a psychopath is to give the victim’s chemical cleaving response to the presence of the psychopath an opportunity to fully abate. And it does. The only thing I’d feel toward my ex, if I saw him walking down the street, would be repulsion. Thank you jm_short for such a good explanation of betrayal bonding! Profound. I second what blossom4th has said! Thanks you for this incredibly enlightening explanation! I am so grateful for this post today – I do not remember seeing this article and it’s amazing and clear. Also – the explanation from jm_short is greatly appreciated. It was mid-August 2009 that I made my shocking discovery of my husband’s dark side – 4 years ago now – I could no longer deny my horrendous experience with him. That discovery led me to Love Fraud and I am so thankful for what I have learned here – priceless ! I have a tough time navigating through psychology books so it’s so appreciated when people do the in-depth research and then write summaries or share their stories in such a clear way. Wow – so amazed this was commented on today – thank you !! Yes thank you so much jmshort! I love the common-sense physiological explanation you give – this knowledge should help us heal by being aware there is even less reason for us to beat ourselves up than we previously thought! Let us hope the insensitive and uncomprehending “normals” start to catch a clue too! I’m sincerely happy to have helped. And I’ll be expanding on this shortly in another article. Without this understanding, it’s easy to heap blame on ourselves and be further victimized by the blame of others. Even my own sister, who I indeed feel love from, reacted to my tale of betrayal with “you just made bad choices.” I’m sure most of you faced the same response from the loved ones in your life. By working together toward enlightenment, we can make this problem better understood by society.